The list of materials that can be produced by 3D printing has grown to include not just plastics but also metal, glass, and even food. Now, MIT researchers are expanding the list further, with the design of a system that can 3D print the basic structure of an entire building. Engineers from MIT have designed a system that can 3D print the basic structure of an entire building, possibly enabling faster, cheaper, more adaptable building construction in the future. The system consists of a tracked vehicle that carries a large industrial robotic arm, which has a smaller, precision-motion robotic arm at its end. The list of materials that can be produced by 3D printing has grown to include not just plastics but also metal, glass, and even food. Now, MIT engineers are expanding the list further, with the design of a system that can 3D print the basic structure of an entire building. Unlike typical 3D printing systems, most of which use some kind of an enclosed, fixed structure to support their nozzles and are limited to building objects that can fit within their overall enclosure, this free-moving system can construct an object of any size. 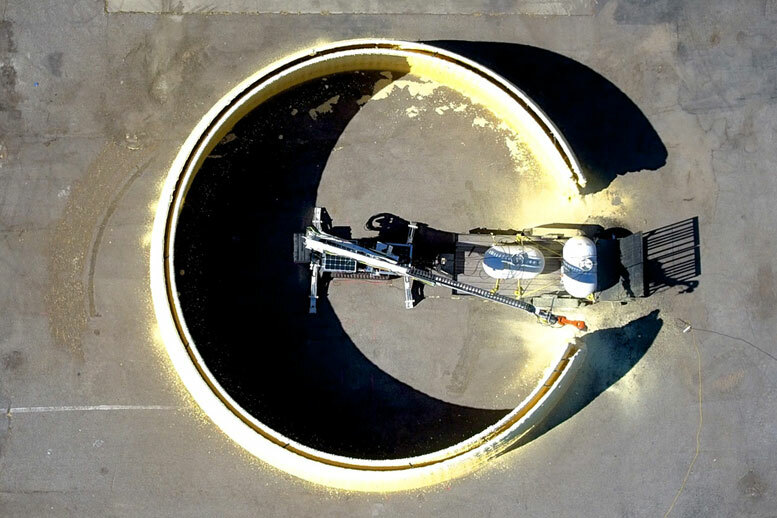 As a proof of concept, the researchers used a prototype to build the basic structure of the walls of a 50-foot-diameter, 12-foot-high dome — a project that was completed in less than 14 hours of “printing” time. 1 Comment on "MIT Develops a System That Can 3D Print the Basic Structure of an Entire Building"
I wonder if something like this could be used on the moon or mars to build living quarters?